The High Court in Pretoria on Tuesday dismissed an application brought by the Coal Transporters Forum against Eskom, the National Energy Regulator of South Africa, the minister of energy and a number of independent power producers. The CTF is a voluntary association whose approximately 50 members are companies transporting coal for Eskom. They also provide logistical support and other services. 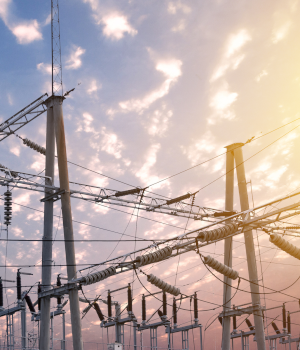 The association claimed Eskom may not conclude power purchase agreements (PPAs) with the independent power producers until Nersa had taken certain decisions, and furthermore wanted the court to declare all the PPAs Eskom had already concluded as invalid. However, this particular case only concerned the successful bidders in the so-called Bid Window 4 and the Small Projects Programme. According to the judgment, all the PPAs in respect of Bid Window 4 had already been signed; and only three companies had not yet signed PPAs in respect of the Small Projects IPP programme. Therefore, the judgement says, the claim to interdict Eskom from concluding the PPAs is largely irrelevant. "The claim to interdict Eskom from concluding the PPAs is [...] moot as far as all the IPPs are concerned, except in respect of three successful bidders in the Small Projects IPP programme," it states. The judge found the evidence presented by the respondents was "simply overwhelming". According to the judgment, Nersa issued each successful IPP bidder with an electricity generation licence after following a public participation process for each project. Furthermore, the judge found the CTF's criticism of the evidence presented by Nersa and the IPPs regarding the issuing of the electricity generation licences was without merit. "The government's policy on energy has been developed over almost two decades after extensive public participation and stakeholder involvement," the judgment states. The policy recognises that SA is heavily dependent on coal as its primary source for power generation due to large coal reserves, it adds. "Government's policy accepts that coal will remain the primary source of energy generation for the foreseeable future. However, it also acknowledges that coal has significant detrimental impacts on the environment, resulting in measurable external costs as well as other costs - the most significant impact is the emission of greenhouse gases," according to the judgment. "In view of the environmental and health impacts of coal and the need to diversify the sources of supply to maintain energy security, government's energy policy supports and promotes the development of renewable energy to achieve a more sustainable energy mix." On 26 February 2018 Jeff Rabede was appointed minister of energy. He arranged for the signing of the PPAs on 4 April 2018.